This brief presentation will look at some of the things which I hope perhaps represent best practice in local Arts-Based Community Action & Development (ABCA /D) and then examine a number of threads which may lead us to consider the challenges and opportunities of such activity. HOPES has organised midsummer events every year since 1996, including an annual concert at Liverpool Philharmonic Hall which includes adult amateur performers, young people / students, and schoolchildren, all working alongside professional musicians engaged from the Royal Liverpool Philharmonic Orchestra. ¨ In 2000 the year-long Hope Street Millennium Festival included almost 20 different events – concerts, exhibitions, drama, debates, a civic dinner, children’s banners and street activities – and was selected by the Millennium Commission from thousands of festivals across the country to be featured nationally. ¨ HOPES was invited to help initiate, and then provided behind-the-scenes administrative support for, the 1998 Liverpool BBC Windrush events which involved many groups from the communities of the inner-city. This was an extremely valuable opportunity to work with others to a common end, and has enabled the development of many enduring partnerships. ¨ HOPES has a Composer-in-Residence, Richard Gordon-Smith, whose large-scale orchestral work has been recorded by RLPO-Live for a commercial CD, with sponsorship, support and, in one instance, commissioning from HOPES. ¨ HOPES has organised and led a number of ‘expert’ conferences, to which local people were also invited, on subjects such as Art at the Heart: The Role of Cultural Quarters in City Renaissance and Nurturing the Best (on high-level graduate retention). The proceedings of these conferences were published as the Hope Street Papers. ¨ HOPES sees ‘culture’ as being a broad concept, including all aspects of understandings and intellectual capital; we are very active in supporting the University of Liverpool and others in seeking to have a number of Big Science projects (eg: CASIM) located in the sub-region. ¨ HOPES seeks to involve young graduate trainees in all activities and we were able to support one such young person through a year at the School for Social Entrepreneurs in London, of which she is now a Fellow. Other past trainees now have very high-flying jobs. ¨ HOPES has gained formal recognition for Hope Street Quarter as a unique strategic area for engagement in Liverpool’s renaissance. 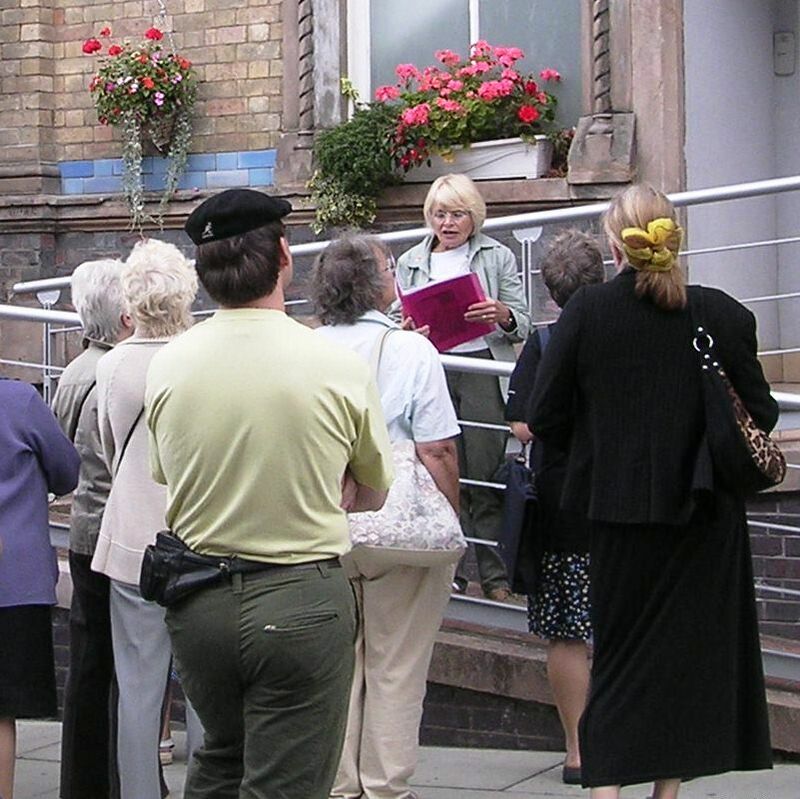 We have held a large number of community meetings and consultations – eg: exhibiting models of possible ways forward at informal social events – and have been responsible for both the formal designation by the City Council of the Hope Street Quarter, and for the identification by the city centre partnership development company, Liverpool Vision, of Hope Street Quarter as a key development area. ¨ HOPES was central in supporting a group of Indian classical musicians who came together with RLPO musicians to form the Saurang Orchestra for a series of new-genre concerts in the Philharmonic Hall and other local venues. ¨ HOPES is very involved with others in the city in looking at ways to promote enterprise, conventional, cultural and social, as an aim for Liverpool’s 800th anniversary, in 2007. ¨ HOPES and Live-A-Music have just completed KOOL STREET, a six-month project supported by the National Foundation for Youth Music with Richard Gordon-Smith, resulting in a performance at Liverpool Philharmonic Hall by children from local secondary, special and primary schools of a five-part musical composition about their lives in Liverpool. ¨ HOPES has been at the forefront of local ventures such as the ‘reclaiming’ for the community and visitors of St James’ Garden and Cemetery alongside the Anglican Cathedral, in partnership with the Conservation Foundation, the City and others. ¨ Live-A-Music (with support from HOPES) also recently gave a free Midsummer Morning concert in aid of the Sefton Park Palm House appeal – to which 1,200 people turned up!. ¨ HOPES is a registered charity with a board of Trustees elected from an open membership, and much of our work is carried out as volunteers or as employment training opportunities for young graduates and others in the community. Liverpool is blessed with a large number of highly accomplished and significant arts organisations and artists. HOPES: The Hope Street Association (please see the HOPES Membership form attached for details) arose in the mid-1990s from CAMPAM, the Campaign to Promote the Arts in Merseyside (of which I was also Chair), a vocal lobby which worked hard to ensure that Liverpool’s outstanding performing arts organisations survived a very lean time. Our slogan then was ‘Once lost we will not get it back‘. The aim of HOPES is, however, more forward looking and pro-active now that our civic cultural assets have begun to be recognised for the ‘jewels in the crown’ which they are. HOPES acknowledges that cultural assets of all sorts – from architecture to world-class science and all things between – are critical for the successful renaissance of our city; and many of these rich assets lie and / or operate within the Hope Street Quarter. We also believe that one way in which those who ‘have’ and those who perhaps have less can come together is through the arts, and especially the performing arts. Much of HOPES’ community-based activity is therefore predicated on bringing together members of the local community and artists of the highest calibre who have also come to live and work in the area. The parallels here with sport are evident, but should nonetheless be articulated: The arts and sport are visible and accessible to all. It may be difficult for a child in the inner-city to perceive what, say, lawyers or research scientists actually do; but everyone, given the opportunity, can observe and understand what musicians, gymnasts, painters, footballers or actors do. Indeed, Liverpool has many examples of arts and sports performers at the highest levels who came to their skills through being given opportunities to see (and / or hear) for themselves what is possible. Likewise, in these activities everyone can become equal. HOPES seeks to involve its artist colleagues (especially musicians from the Royal Liverpool Philharmonic Orchestra, through Live-A-Music) in activities such as ‘community’ orchestras or small-scale concerts and children’s workshops in which everyone, adults and children, skilled and less skilled, is made welcome. For instance, all HOPES Festival Orchestra members wear special T-shirts (this year sponsored by The Mersey Partnership); and after both formal and community concerts everyone, performers, audience and children alike, is invited to stay for free light refreshments. We also host free celebratory events and entertainments to which everyone who has indicated an interest (people who work, study, live in or visit Hope Street Quarter) is invited, such as our post-New Year parties at the Everyman Bistro. We aim to use the arts to involve and bring together people from across all the communities in and around our Quarter, and to benefit from the synergies which thereby arise. Question: How does ABCA/D link with conventional culture and tourism? Possible Answer: It is the ‘continuity factor’ which allows large-scale and spectacular programmes to embed (and / or develop) over time in the local community. It also facilitates genuine and new local capacity building which will enhance any more formal programmes, offering a sort of ‘social glue’. It is essential to encourage the synergies between these two aspects of cultural innovation. Q: What are the relative priorities for ABCD between excellence and accessibility? Q: How do high-level and formal artistic / formal skill translate into assets for a local community? PA: There are always people, wherever they are, who can respond to the best on offer; what often helps here is to make the actual setting for events accessible, rather than compromising excellence. For instance, don’t assume that everyone is comfortable with normal box office arrangements (send them invitations! ), make sure marketing, programmes etc explain what is happening (and for how long), be sure to avoid any hint of ‘them and us’ scenarios between artists and audience. Q: How can such apparently free-flowing programmes engage in the formal bureaucratic set-up? PA: With difficulty! But it has to be done… One way might be to move from the principle of local authority etc funding and official engagement for community-led action in specific projects, to that of core funding (which requires a degree of trust, but can still be entirely transparent), so that the base-line for committed community organisations is secure. This would allow them to put their energies into attracting external funding for ambitious / imaginative projects, rather than simply struggling to survive from one crisis to the next. Intellectual, structural and intuitive approaches are all required. The ‘trust solution’, of course, requires a degree of civic courage and serious leadership…. Q: How can ABCD be benchmarked / evaluated? PA: Qualitative benchmarking is often more important for these activities than artificial quantification. The real challenge is to find appropriate indicators, including social audit factors, and to acknowledge fully their validity alongside the usual criteria or benchmarks (if and where even such exist). Q: ABCD requires innovators. How can their work be sustained? PA: There are innovators with commitment, and innovators who prefer to move on. Maybe one way to resolve the ‘sustainability problem’ is to have challenges in reserve for the committed innovators, and on the other hand to ensure that people who prefer routinisation are consistently drawn in – which is a good place anyway to start for many community involvement programmes. Q: What is the ‘X-factor’ which gives any ABCD programme ‘charisma’? If you don’t try, you will never know….